Despite the quick development of dental services there are still some mutations that cannot be cured with any of the dental treatments. That is when oral surgery is needed. The treatment is executed after a thorough dental examination and X-ray. 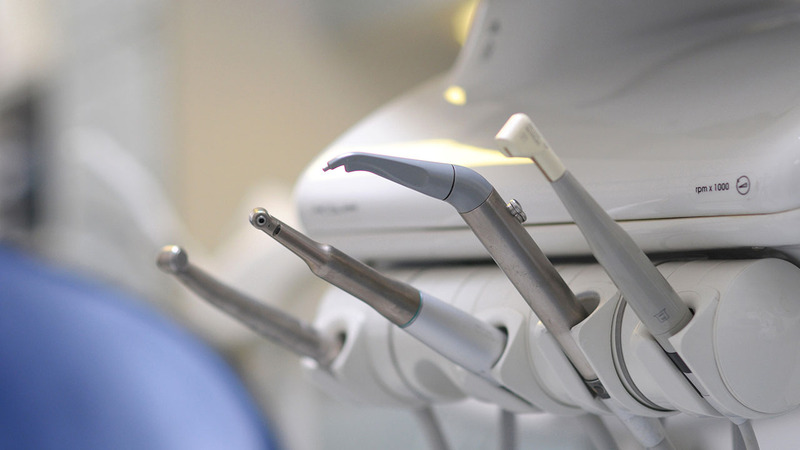 The dentist decides whether a simple or a surgical extraction is necessary. Both treatments can be executed straightaway. It is recommended to have a meal before the intervention as eating not allowed after anaesthetic injection, as long as torpor lasts (approx. 3-4 hours). Learn more about wisdom-tooth removal here. Osteoplasty is one of the latest dental treatments; it may be a solution for different kinds of dental bone defects. Such defect may evolve as a result of trauma, cyst, tumour, bone disease or an edentulous area. The decrease of bone amount is mainly caused by the loss of a tooth, as it results in the cease of the mechanical stimulus that affects the bone; therefore the bone tissue begins to waste away. Learn more about osteoplasty here. to get acquainted with it. Europe Dental joined the users of this technology among the first ones in Hungary. Read There is a technology that uses human bone replacement material which is a novelty worldwide, and Hungary has just stared more about this innovation here. Root apex resection means the removal of the root apex of dental root from the bone – while taking care of saving the tooth. The treatment is executed in case of teeth with root canal filling. The operation may be a last chance for saving a tooth before extraction, the success rate of the intervention is 60 %. Read more about the operation here. Sinus is located in the upper jaw, above the small and big molars’ region. After losing molars the bone starts to waste away; and the more time passes after the extraction of a tooth, the thinner the bone amount becomes under the basis of the sinus. Sinus lift method was developed to enlarge this bone plate and by now it has become a routine surgery intervention. In most of the cases the intervention is executed before the implantation of an artificial root (implant). The soft tissue around the bone may be damaged during cutting a bone, and the healing process is rather painful. These hazards can be completely eliminated with Piezo surgery technology. The special device called PIEZOSURGERY® touch is used in dentistry and oral surgery for cutting jaw bone and then smoothing its surface. Besides, it is used for shaping the tooth surface as well. It cuts the bone gently, thus making the intervention less unpleasant for the patient. Thanks to this high-technology device post-operation swelling is smaller; the recovery process is faster and less painful; the soft tissue is not damaged during a sinus lift surgery; the ossification process is faster and more effective after implantation.